Experience pure relaxation with this body bar. We've loaded this bar with plenty of pure lavender and lavandin essential oils so you can indulge in an overall calming experience. This bar is earthy while being floral all at once. 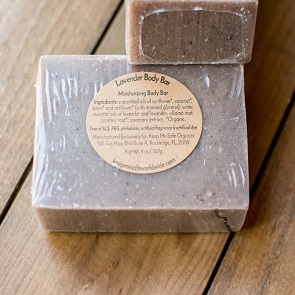 You may find other lavender bars out there, but none that compare to this one.